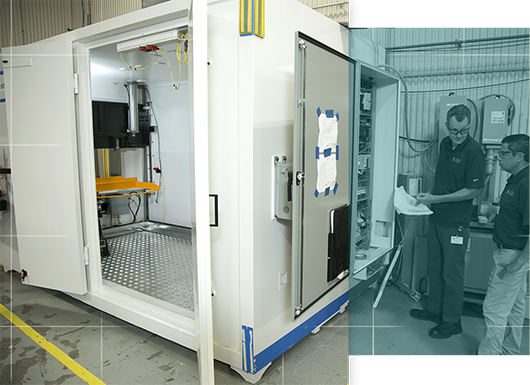 VJ Technologies (VJT) is a leader in the design and construction of deployable, high-energy x-ray containment vaults for the nuclear industry. VJT provides services and equipment dedicated to the national clean-up and remediation of low-level nuclear waste. Our services cover a variety of inspection applications, such as castings used in land-based turbine engines and nuclear plant builds. VJT provides Mobile Lab Services for nuclear characterization. Our technology penetrates very high-density materials, including concrete and metals up to 16 inches thick. This capability facilitates the x-ray inspection validation of new-build materials and components for nuclear facilities. VJT also provides systems and services to the nuclear industry for the characterization of low-level waste (LLW) and transuranic waste (TRU), prior to disposal. 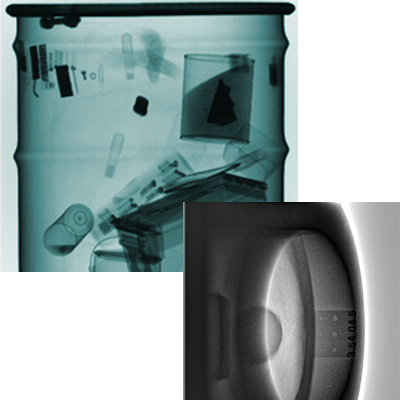 VJT solutions use high-resolution NDE radiography techniques to inspect and characterize the composition of drum and box contents and to provide detailed images and analysis. VJT uses its expertise in complex technology integration to provide technology-based solutions and services to the global nuclear industry. Inspection and quality checking to validate build-quality is an essential part of nuclear facility construction. In addition to inspection services and equipment, VJT’s High Energy facility is used extensively for a wide variety of radiation exposure testing requirements. We can tightly control dose rates to replicate specific exposure levels and to achieve accumulated dose rates. This facilitates accelerated life-cycle testing of components used in environments where radiation levels are important. VJT provides site remediation technology and equipment development services, together with the design, build and full scale, cold testing of remediation equipment and systems.